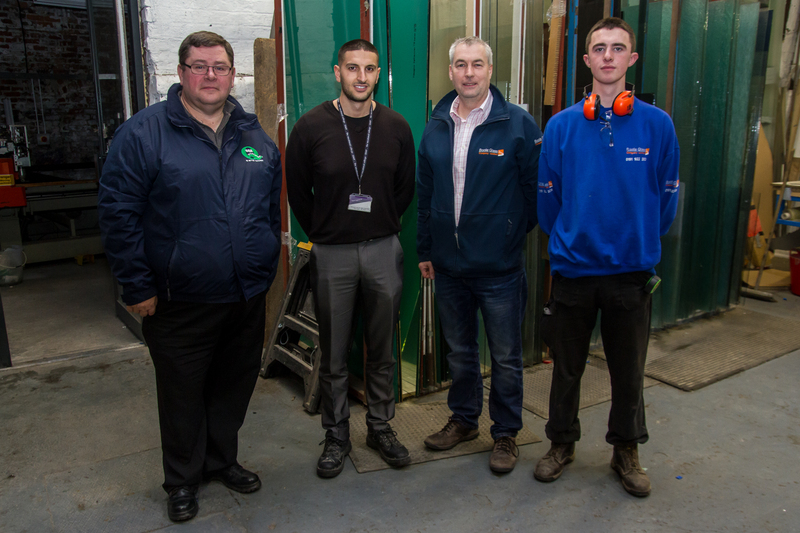 We were delighted to welcome a representative from GQA recently who visited the premises to meet our apprentice Michael Leary and his assessor. GQA Qualifications is an Awarding Organisation for specialist sectors and occupational roles covering the Glass, Construction, Coating and Print industries. The visit came not long after Michael achieved NVQ Level 2 in Glazing after joining our apprenticeship training programme two years ago. The qualification is aimed at those who work as glaziers, installing glass into frames and those who work to maintain glazing installations. Michael will now work towards Level 3 with continuing on-the-job training and support from the Vocational College in Liverpool.